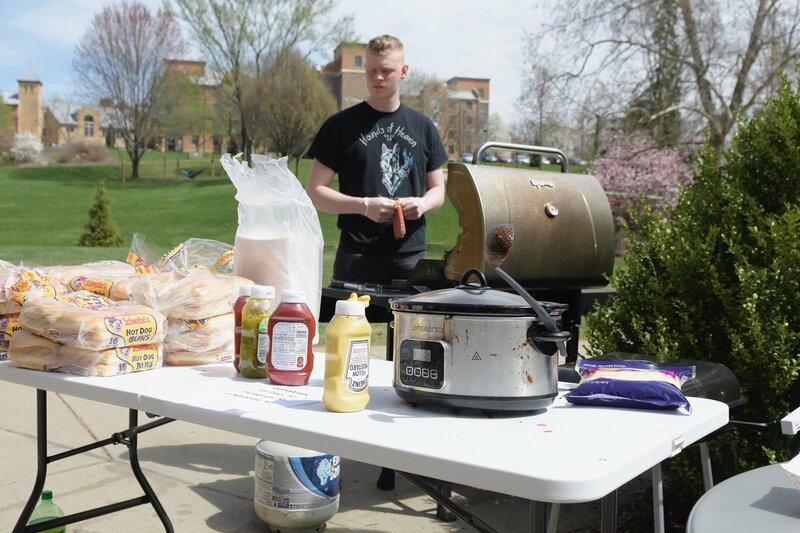 Franciscan University Student Government allocated almost $1,000 to itself during its Oct. 31 meeting for the purchase of quarter-zip sweaters and stickers as part of its new marketing push. 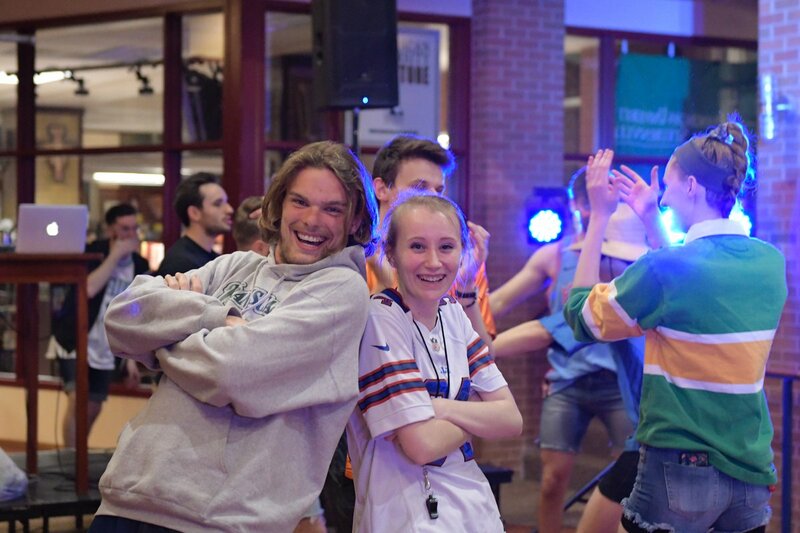 Fall Bill 55 allocated $941.23 to Student Government for the purchase of quarter-zip sweaters for each of its members. According to the bill, many students do not know who their Student Government representatives are and the sweaters will help identify representatives to the student body. Justice Carrie Perham said the student government budget at her previous college included buying apparel for its members, and she said that Franciscan’s Student Government should do the same, an opinion shared by Sen. Derek Markle, who said several Catholic universities have similar apparel for their student governments. Markle said he asked Student Government members if they would be willing to purchase the sweaters out of pocket and received a negative response, which made a bill allocating enough funds necessary. Sen. Paul Nick rose to oppose the bill, saying that spending almost $1,000 on sweaters for a select few students was a poor use of money and that members should be paying out of pocket for the apparel. Both Nick and Sen. Anna-Maria King said they had never been asked if they would be willing to pay for the sweaters out of pocket, but they said they would if the opportunity presented itself. “I was never asked if I would pay for these out of pocket, but I can assure you that I would,” Nick said before moving to table the bill. Nick’s motion was unsuccessful, being voted down 6-3 with Sens. Francis Heroux, Joseph Starcher and Monica Surovec absent. Before the body moved to vote on the bill, Sen. Athanasius Sirilla suggested the sweaters remain with Student Government instead of going home with individual senators to avoid having to allocate almost $1,000 every year for sweaters. The bill was then approved. Fall Bill 56 immediately followed, calling for $50.55 to be allocated to Student Government for the purchase of Student Government stickers to be handed out at the “SG on the Hill” events, another part of the body’s new marketing campaign. According to the bill, the stickers would increase student awareness of Student Government and make it more accessible to the student body. 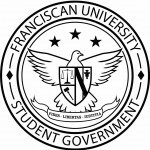 The stickers would be of the Student Government logo with dimensions of 2 inches by 2 inches. The bill passed without issue. Before the meeting adjourned, Student Government advisor David Schmiesing suggested the body look into putting together a policy regarding the retaining of the quarter-zip sweaters, including any punishment for not returning them, to avoid any drama that might ensue. Student Government will next meet Nov. 7 at 11 a.m. in the St. Leo Room.